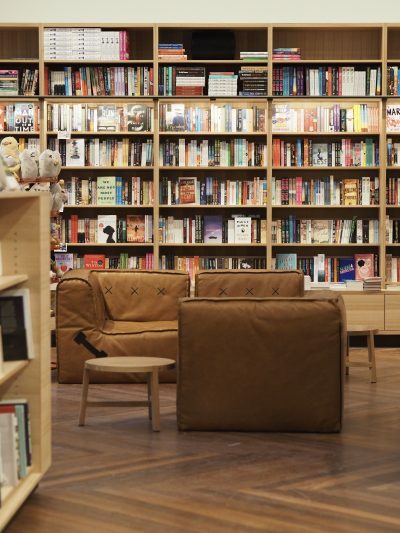 The Readings bookshop at State Library Victoria (SLV) has moved to a larger shop space, due to the $88.1 million redevelopment of SLV. The new SLV shop site is 60% larger in size than the previous site, which means it can now stock an increased offering of children’s books, general fiction and Australian fiction, and can also be used an as events space. The SLV redevelopment has meant the shop had to move from the Swanston Street entrance on the western side of the building (which is currently closed for further construction), to a new entrance via Russell Street on the building’s eastern side. Manager of the SLV shop Tom Hoskins says that in the short time that the new shop has been open it has experienced ‘some very encouraging signs’. ‘The new space (in what is currently the only entrance to the library) is much more open and easy to access for library patrons and customers, and we’ve seen a marked increase in traffic as a result,’ Hoskins told Books+Publishing. Hoskins also highlighted the new shop’s events capabilities, with the shop having already hosted the media launch of Scott Pape’s The Barefoot Investor for Families (HarperCollins). ‘It was a very long process working with the library on this project, over two and a half years, but the work has definitely paid off and we’re very happy in our new home,’ added Hoskins.